This single candle holder with a round stand that can be used as a holder for bowls, is sure to tempt guests with its glowing aesthetics and appealing functionality. It is made of wrought iron and boasts of its black colour. 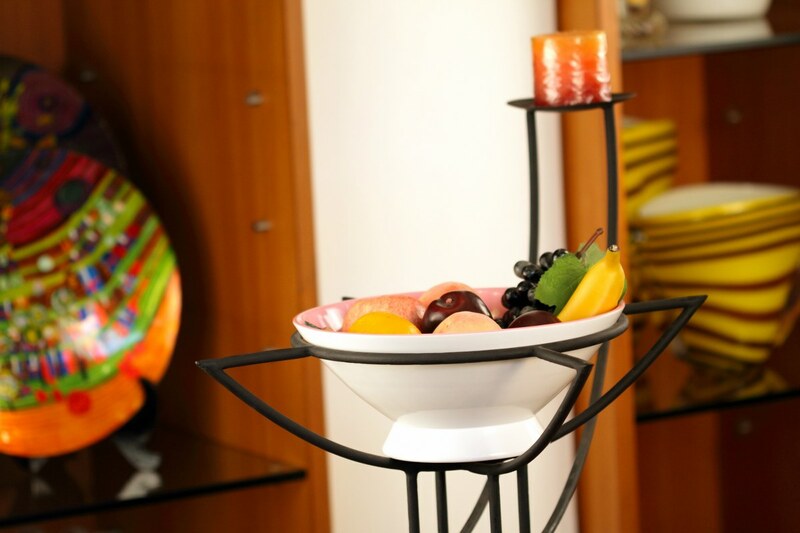 The bowl, when used to serve appetizers or an assortment of succulent fruits is sure to polish up your hosting skills. Alternately, just adding water and floating some blooming flowers will add a dash of natural charm and wilful fragrances to your surroundings.